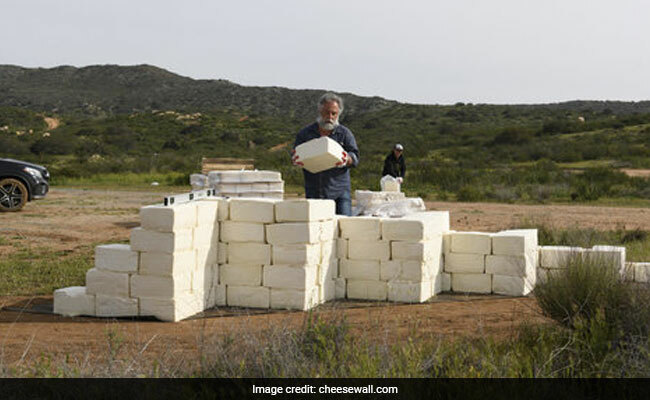 Cosimo Cavallaro is relying on GoFundMe to acquire enough blocks of expired cheese from the Mexican state of Michoacan to complete his structure. 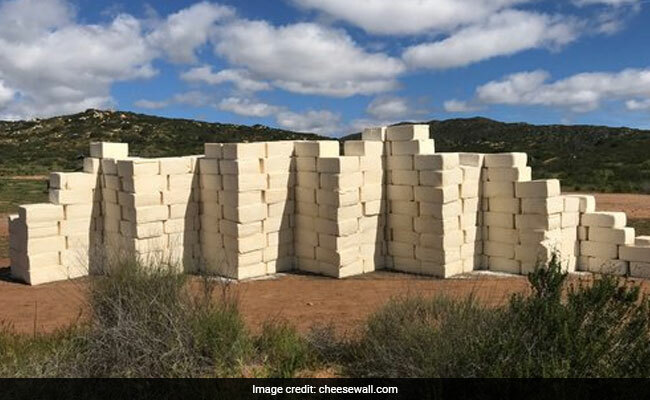 While the Trump administration is trying to use billions of taxpayer money to build the wall, the artist, Cosimo Cavallaro, is relying on GoFundMe to acquire enough blocks of expired cheese from the Mexican state of Michoacan to complete his structure, which stands nearly 5-feet tall. Mr Cavallaro said that he would be delighted to receive a donation from Trump, who made the promise of a border wall, the centerpiece of his 2016 election campaign. Mr Cavallaro said that when he first arrived in Tecate, the sight of the reinforced fence topped with barbed wire left him with a "very ugly and depressive" vibe, evocative of a "concentration camp environment". US Border Patrol agents are in the area, but they have not interfered with Mr Cavallaro's project. This is not the first time that Mr Cavallaro has made art from perishable items.